What does it really take to have a happy and lasting marriage? Turns out it's fighting. Most couples interpret fighting as a bad sign and worry it's a sign that they might not be compatible partners, after all. However, fighting before marriage about important issues is better than fighting during marriage. Figuring out each others personality, beliefs, core values, and goals are very important before you tie the knot with someone, explains Shauna Springer, author of Marriage for Equals: The Successful Joint (Ad)Ventures of Well-Educated Couples. Pamela Paul, who is a marital counsellor, explains how marriage usually goes one of two ways. Springer explains that those couples who go through a rough transition are usually the ones that marry too soon. "When couples marry during the cocaine-rush phase, they can predictably expect to go through the tunnel of stress and chaos that is the entry into the 'Testing' phase at some point soon after they are married," she says. Many psychologists liken that "in love" feeling to a cocaine rush, and the testing phase is usually the second phase of a relationship — the phase where arguments being to happen. "If sources of incompatibility and disagreement can come up before marriage, then each partner will have an opportunity to decide whether particular differences are ones he or she can live with or whether there are deal-breaker differences," says Springer. So, fighting before marriage isn't always a bad sign. 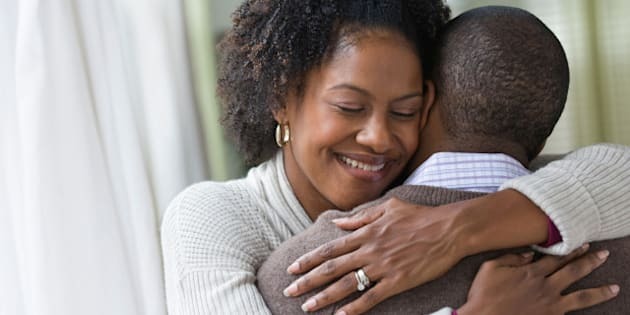 In fact it can actually strengthen your relationship for the long run — as long as it's not your only form of communication.